“Cotopaxi strongly believes in the power of business to drive social change and the power of adventure to connect the world”. As an avid hiker and adventurer who is passionate about giving back, I’m always on the lookout for innovative, unique companies that create amazing products while also giving back. Cotopaxi is a company that creates outdoor adventure products while also funding sustainable poverty alleviation around the world and inspiring people to be adventurous and do good. Founded in 2013 by Davis Smith and Stephan Jacob, Cotopaxi was inspired by Davis’ childhood growing up at the foot of Cotopaxi in Ecuador where he spent his youth hiking and exploring his magnificent environment. He also saw the devastating impact poverty had on communities and people. After years of running several successful eCommerce websites in South America, Davis wanted to start something different that would incorporate his passion for adventure along with his desire to give back and make meaningful strides towards reducing global poverty. Together with fellow Wharton business-school graduate Stephan Jacob, Cotopaxi was born. Cotopaxi is unique because it is the first company to incorporate as a “Benefit Corporation” and then receive venture funding. Benefit Corporations are a new type of business that allows for-profit entities to pursue social and environmental goals while also focusing on maximizing profits. Receiving venture capital from investors demonstrates the strong belief that this is a company that can make both a profit and a difference. As part of Mom Blogger’s for Social Good (a global coalition of over 3,000 mom bloggers), I have received an advance copy of the inspiring new book by Betsy Teutsch called “100 Under $100: One Hundred Tools for Empowering Global Women”, for review. All opinions below are my own take on the book. In the field of international development, it is a well-known fact that women are powerful agents of change and development, and it is only by empowering women and girls that the world will be lifted out of extreme poverty. Yet despite this easy assertion women and girls continue to be the most impoverished, most vulnerable and most neglected human beings in the world. There are many reasons why women and girls continue to suffer the most. Cultural beliefs and norms, war and violence, poverty, lack of infrastructure and education continue to play a significant role in women’s empowerment and rights. However, despite some of these challenging, long-held beliefs, traditions and obstacles, there are proven, cost-effective ways to change the lives of billions of women and girls living in extreme poverty. Two young girls pose for me during a visit to one of Delhi’s many unauthorized slums. Despite their poverty, they were enrolled in a program sponsored by Save the Children to improve their lives. On one of my last days in Ethiopia as a fellow with the International Reporting Project we visited Project Mercy, a not-for-profit relief and development agency that provides services to help alleviate human suffering and overcome systemic poverty in Southern Ethiopia. The visit ended up being one of the most enlightening moments of our entire trip. In order to combat Ethiopia’s high maternal and newborn mortality rates, Project Mercy opened a “Lie and Wait” home for rural woman to come to stay before delivering their child at a nearby hospital. In a country in which an estimated 90% of women deliver at home with little or no trained birth assistance, a Lie and Wait house ensures women from the far away, remote villages will come to wait to stay and deliver at a hospital with a trained midwife or doctor. Lie and Wait houses have saved many lives of both mother and child. Many of these expectant mothers walk miles on foot on various terrains and topographies to reach a Lie and Wait house. At Project Mercy in the Yetebon community of Southern Ethiopia, pregnant women can walk hours through rugged, mountainous terrain to reach the Lie and Wait home. It is a true test of endurance to walk on foot carrying almost a full term baby. Reaching the Yetebon community on rough gravel roads that end when they hit the mountains where most of the population live. 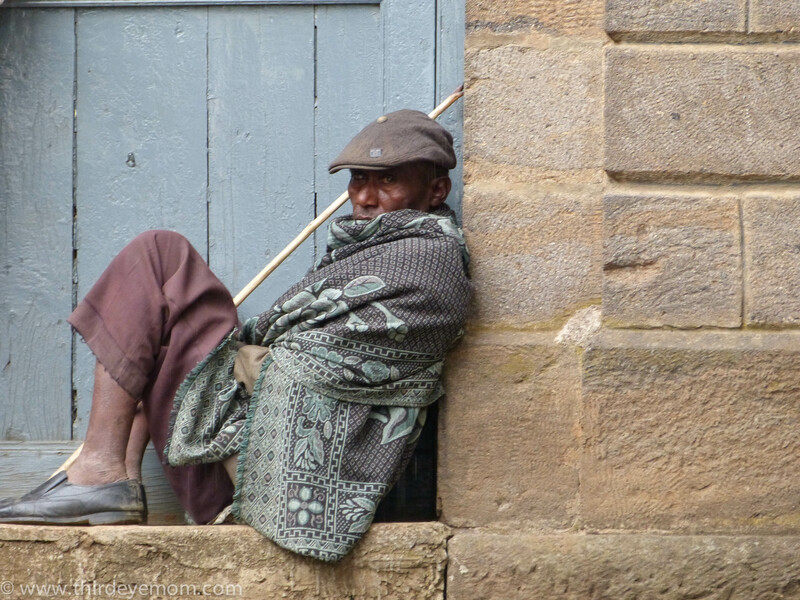 When I arrived in Ethiopia, it was impossible not to notice the frayed clothing worn by most rural Ethiopians. As an avid reader on global issues and extreme poverty, I couldn’t seem to get the fabulous non-fiction book “The Blue Sweater” by Jacqueline Novogratz out of my head. One of the unforgettable moments in Jacqueline’s life was when she was living in Rwanda and saw a young boy wearing her blue sweater that she had donated eleven years ago to a local American charity. Somehow that sweater with her initials still written clearly inside, made it all the way to Africa and was still being worn despite being tattered and frayed. It made Norogratz, a successful investment banker, think about how our world is interconnected, and it steered her life towards philanthropy. 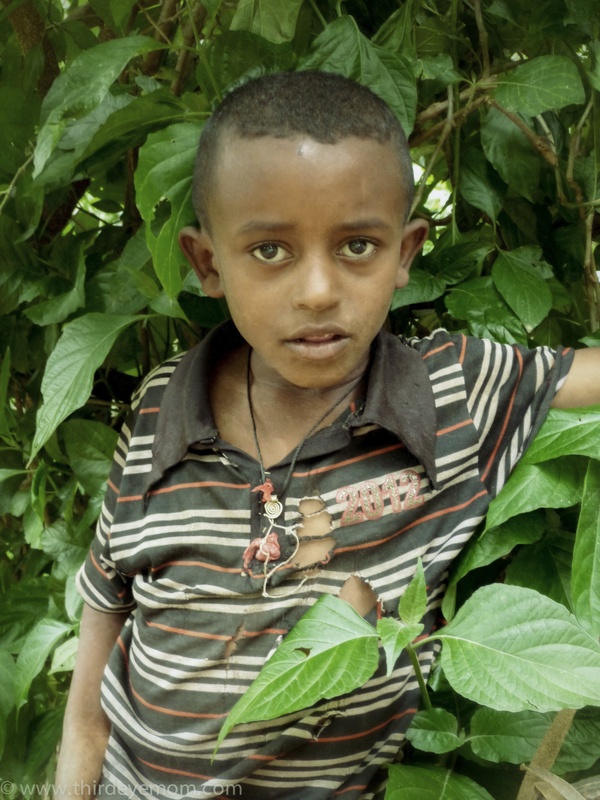 Driving throughout the rural countryside of Ethiopia where over 90% of Ethiopia’s 90 million people live, frayed clothing is an omnipresent reminder of the high level of poverty in this part of the world. I saw toddlers wearing no bottoms, little boys wearing pink jackets, girls and women in a pell-mell of skirts, tops and dresses, and men wearing worn-out, patched up trousers. Shoes were rarely present especially on children. If shoes were worn, they were either too big, too small or torn. I thought about my own children, comfortably back at home in Minnesota with more clothing in their closets and drawers than they could possibly wear to the point of wearing them out. The fact that twice a year I make the annual trip to Goodwill or Salvation Army where I unload all the unnecessary clothing that is supposed to go to the local community but like Norogratz’ blue sweater, most likely ends up somewhere in Africa. Was some little girl out there wearing my daughter’s favorite dress? I am certain she is. Ethiopia, a magical land of over 90 million people, is one of the most diverse nations in the world with over 83 distinct languages and 200 dialects. What stunned me the most about Ethiopians is how such a diverse group of people live in peace and harmony. Over half the population is Orthodox Christian and the next largest religious group is Muslims making up around 45% of the population. Despite their different religious beliefs, Muslims and Christians live side by side and oftentimes there can be a mixture of religions within families due to marriage. The main eight ethnic groups also live together peacefully which says a lot about this poverty-stricken nation in the heart of Africa. While I was in Ethiopia these past two weeks, Oxford University released The Global Multidimensional Poverty Index (MPI), ranking Ethiopia as the second poorest country in the world just ahead of Niger. 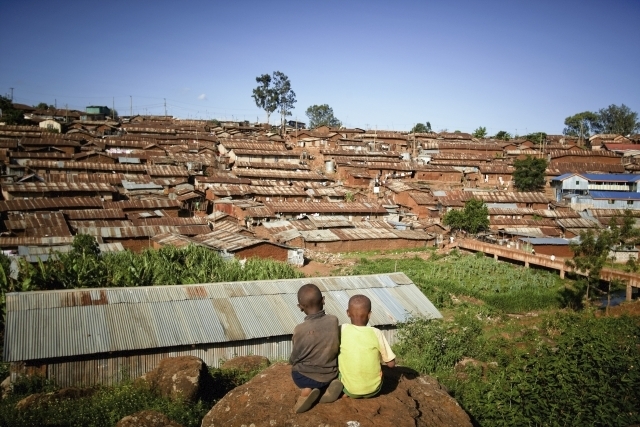 The report claims that although Ethiopia has made some progress, Ethiopia is still home to more than 76 million poor people, the fifth largest number in the world after India, China, Bangladesh and Pakistan. The report also claims that the highest percentage of poor live within the rural areas which is no surprise given the fact that over 85% of Ethiopians earn a living off the land. Despite the often heartbreaking, overwhelming poverty of the Ethiopian people, the one thing they all seemed to have in common is resilience and resolve with their place in this world. I had never seen so many genuine, welcoming smiles upon their faces despite the hardships they face. I was always greeted with curiosity, warmth and kindness by the Ethiopians I met. 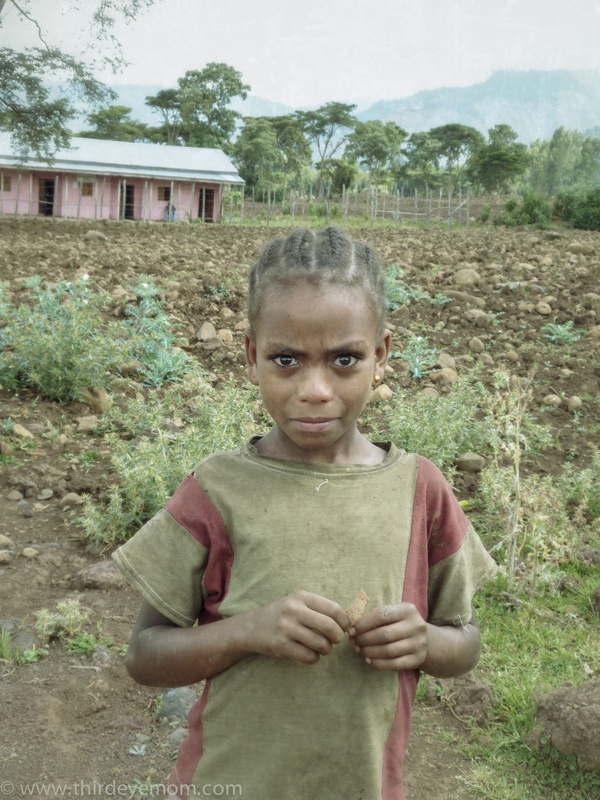 Here are some of my favorite faces of Ethiopia. I arrived early Sunday morning into Addis Ababa, the capital of Ethiopia, after a long haul flight from home. My day began Saturday at 3 am and after two fights totaling 16 hours I found myself in Africa’s highest capital Addis Ababa which translates into “new flower”. The earliest people living in the Shewa region surrounding Addis Ababa date back to the 9th century and are believed to be the Gurage people. Over the centuries the Somalis and Abyssinian kingdoms laid claim to the land, followed by the arrival of the Oromo in the 1500s. The actual city of Addis Ababa was not founded until 1886 when Emperor Menelik II decided to move his military base from Mount Entoto to the vast fertile plains below of Addis Ababa. Today, Addis Ababa is Ethiopia’s largest city with an estimated population of over 3 million people and is a magical place where tradition and modernity are intertwined in unexpected ways. Walking down the busy streets of Addis Ababa you can see high rises and western hotels reaching towards the sky juxtaposed with dirt sidewalks, donkeys leaving the market and undeveloped slums. It is a place filled with contradiction. Looking outside the window of my newly built luxurious western hotel lies one of many slums slightly hidden behind corrugated tin fences and walls. Men in well-tailored suits sit outside in a chairs along dirt sidewalks getting a shoe shine. High rise buildings are going up alongside a pell-mell of depressing slums. Everywhere you look is something that makes you scratch your head and wonder.